Something that I dont understand from My Hero Academia it's something characters which supposedly have average resistance (because their quirks arent about resistance) are able to resist One for All. 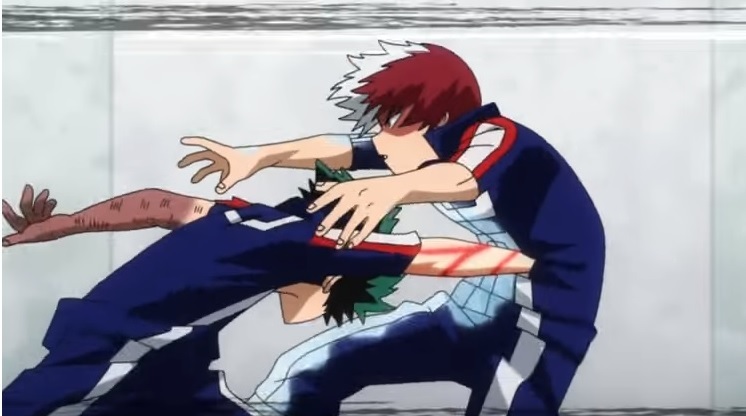 For example, Shoto in it's battle with Midoriya (and wasnt this One for All 100%?) How was Shoto Todoroki able to resist One for All? The power level of that punch or others are not specifically stated in the manga or somewhere else. We know that Izuku's current limit of %20. More than that harms him. This is also valid if he is using Full Cowl. In many fights Izuku exaggerates the power output of his quirk. Muscular fight is the best example for this. He never uses %100 output nor that he can stand that kind of harm. So since he is not using Full Cowl here we can assume his power output is noting more than %10. Because his power output is only %5-6 without Full Cowl. The answer is basically given in chapter 22 of manga. When Mydoria tells to Almight that he managed to hit Nomu without breaking his arm, they come to conclussion, that Mydoria subconsciously limited his power output to avoid causing lethal harm to other human. Mostly possible, that during his fight with Todoroki, he has limited his power is same way.